Eco Gypsies is a Delhi based startup founded by Rachana Kulshrestha and Mudit Srivastava. “There are pre-designed packages and we also custom design for our travellers. We began with different spots in the beautiful mountains of Kumaon, Uttarakhand”, says Rachana. We got an opportunity to talk with Rachana, the co-founders of Eco Gypsies. Let’s look at her journey of being an entrepreneur. And I am sure it will inspire you as well. Eco Gypsies was founded with a mission to create a community of aware gypsy souls who want to not just explore but to give back to mother earth too in whatever way they can. We curate retreat/vacation in the lap of nature that not just relaxes but also gives a rare feeling of love, contentment and fulfilment. It began with my return to the mountains of Kumaon after a gap of 6 years and I realized how much I have missed them. As of now 100+ people travelled with us to the mountains and were offered comfortable stays, authentic food, fun, activities like fruit plucking, trekking, eco-trails in nature and other adventure to experience along with knowledge sharing, contributions in the plantation and cleanliness drives etc. There are pre-designed packages and we also custom design for our travellers. We began with different spots in the beautiful mountains of Kumaon, Uttarakhand. We are a bunch of nomads, crazy earth-lovers who strongly believe that if we want to see sustainable future for our GenNext, we must act now to conserve and protect what we have been offered by Mother Earth. Trust us, its very simple. No jargon or big asking but in our own small ways we can actually help doing so by moving from wastage and carelessness to optimization and nurturing, making it a part of our routine and especially when we are travelling for fun and otherwise. We touch the chords in hearts and compose life’s music together with our travelers and local communities. Reunion with my team from local villages who are the heart and soul of the project and their challenges moved me to do something with them and for them. Together we brainstormed and figured the challenges and options available for the local people. The biggest pain was Tourism being the most common source of income but the most common source of destruction around too. That’s when sustainable tourism and tourist volunteerism struck us. And we started building more on this concept. Our quest is to address Sustainable livelihood along with environmental conservation through sustainable tourism/ecotourism. nonprofit organizations and a variety of Consultancy Projects. The roles varied in terms of, not only just industries but functions as well. The Leaning Experience that I got was the most common factor apart from managing teams, development and quality delivery of results. My last full time assignment before starting Eco Gypsies, was with Deepalaya, as Executive Director (acting CEO), assisting the Board of Directors in making strategies, setting up M&E Division and ensuring results, with a team of 5 Function Directors, 15 Program In-charges, 205 talented team members along with hundreds of volunteers, coming from various domains. It was a very exciting journey to work towards constructive and sustainable social work. Operationally, at the moment Mukteshwar, Nainital is our based but managing wise we are based in Delhi. We are in the process of expanding to other sites of nature i.e. Himachal, J&K, Rajasthan, Punjab, Gujarat, M.P., Chattisgarh, North-East & South by the end of next year in 3 different phases. From management perspective Delhi NCR is the best to cover almost entire North, West, Central and East. Even south can be handled with the right team. More so Delhi is the hub for expats and working individuals with a great blend of people having interests in art, culture, music, poetry, photography with great aesthetic sense. Operationally Mukteshwer and it’s people welcomed the idea with open hearts, trust and sheer joy of sharing love. Hence, we are where we are. I burn my night oil to address the challenges of the communities especially related to health, water, food. livelihood and education, to keep my team like my family. to build enough that we never have to depend on others as a business. But what makes me really paranoid is what if one day we wake and the Earth says, “I give up on you Humans. You don’t deserve me.” I love my planet and I wish to contribute to heal her and connect with like souls to make our Earth happier. How interesting this question is… I do not believe in competition per say. We are on a planet that has space for everybody and unconditional love for every being. Who are we then, to compete with each other. I believe all such green sustainable tourism businesses that started before Eco Gypsies are our mentors, I would love to collaborate with them to learn and to work with them. THIS IS AN AGE AND ERA OF COLLABORATION AND NOT COMPETITION. I believe that is one reason I entered into my own initiative to have a work-life balance. The time liberty it gives me to work flexible hours with attempts to have a disciplined sleep cycle and healthy lifestyle is what I had been looking for all my life with the corporate and social sector. With Eco Gypsies, I have turned my hobby into my profession and it’s always a joy no more work. However, to manage my energy and strength, I meditate, practice energy healing, exercise and walk, eat healthy (while spoiling myself sometimes coz I am a foodie) and sleep well to recuperate. To be candid we haven’t tried to raise funds as yet. Our concept and the value system behind requires a very empathetic money maker who doesn’t look at business volumes or how to double the money overnight. We’re looking for a matured and level headed individual or business house who believes in sustainable tourism and Earth’s restoration. It is necessary for the funder to align itself with our concept and our beliefs otherwise the originality of Eco Gypsies will fade in time with unrealistic business targets and sales instead building a community and culture of sustainability. Sounds stubborn? Yes we are and we are open for an equally stubborn funder to match our insanity and cause. Misconception: People confuse us with travel booking or stay booking websites or startups or travel agency like makemytrip, trivago, goibibo etc. Why: Because ‘Jo dikhta hai wo bikta hai aur wahi iklautaa sach hai’ mindset. In this country, people hardly read or research. They are qualified but educated errrr.. I have my doubts there. Also in the tourism industry by and large people talk similar terminology and offer obsolete old stuff without putting an effort. Also Majorly people are still unaware about Traveling and exploring and how it impacts life. They merely look for getaways then looking for living the experience. Reality: We curate nature tours and stay, food, activities etc are a part of the whole experience and learning. Our tours are fun, educational and experiential. We have a range of rustic experience, to nature, to workshops, to spiritual retreats. We refrain to do pre designed packages, we curate the experience by getting involved with the prospect travellers be it a group, a couple, a family or a solo. We don’t do travel bookings like flights and trains and buses (for that you have yatra, makemytrip, redbus etc), but once you reach the pick-up point your travel is our prime responsibility. Travel with us to know us, you’d know the difference automatically. Immense happiness it brings to us when we see satisfied faces or faces in the awe, and when you see peace in the eyes of your clients, you know you want to serve them even better. I am head to in love with what we do. And yes! the Future Is Ours for sure. A typical day would be getting up, having some luke warm water, ‘bheega badaam and other dry fruits’, meditation followed by half an hour of exercise. Then I fix some breakfast (They say the first meal of the is the most important). 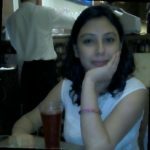 Post which I get on call with my team in Uttarakhand, two of my curators who work day in and day out to collaborate with new properties, camps, manage relations with the old tie ups, work on databases, handle the travelers who are on their tours, they also manage the trails, safaris, community experience etc. Post which I spend time on the marketing side of the business, writing emails, follow up calls, presentations, meetings (as and when scheduled). I work primarily for collaborations with other players having a hold on different locations. Plus at the moment I am working on the content of our website as well. I manage the Facebook and Instagram account for Eco gypsies too so a lot of time goes in creating those post/blogs. Once in a while I attend seminars or meetups. But a major part of my day goes into researching and digging deeper into this field of sustainable tourism, various drives happening across the world and how all the knowledge can help us evolve our model. I make time for lunch and evening fruits or liquids. I believe in consuming something edible (fruit or salad or sprouts) in short intervals coz I have to manage my sugar levels too. Then around 6:30 I cook. Listen to some music. Click some evening shots from my balcony. Most of the times I am surrounded with youngsters in my house, friends I work with or my cousins, I like to spend quality evenings with them. We talk, discuss, ideate, eat and have fun together. I finish with my dinner by 7:30 or 8:00 pm at max. Then I catch up with my family members (half of my family is in the US). I am happily unmarried as of now 🙂 so enjoying my freedom of living my life my way. I am a poet by heart so post dinner I indulge in my writing and love for reading. at 10:30 I go for a 45 min walk. I review the productivity of my day before picking up the book I’d be reading. And then sleep around 12:30. A lot of times when writing work or creative writing is on the top of my mind I stay awake till the ‘Brahm Mahoorata’, i.e. 3:00 am to 4:00 am is the most creative time for me. Otherwise when I am in the hills attending to my travelers or doing recce where goes the day who knows. All I know then is I sleep in the awe of the experience of the day and wake up excited to embark upon my journey for the day. Before I tell you about Team Eco Gypsies let me share that Eco Gypies is the eco travel initiative of my company Rachanakriti Consulting Pvt. Ltd. I and my Nephew Mudit Srivastava founded this company in 2012, while he was still doing is a mechanical engineer. He’s now working in the US as a design engineer for sustainable energy system (EVS) post his Masters in Mech. Engg from NJ. He supports me in building strategies, and market ideas. Then a couple of years back ex-colleague and Best Friend (name cannot be revealed) joined us as working director who brings an experience of 18-19 years in corporate and various organizations. He primarily works on collaborations, initiating talks with a different organization. We know each other for more than a decade and share the same nomadic dream. TKL and I worked for a rural BPO in Kumon in 2011-2012. He was a young 21 yr old trainee of mine then. He is someone with very strong value system and a passion to deliver nothing but the best. He’s a typical pahadi with a zeal to work and unending love for nature and people. We worked together in different capacities and then last year when Eco Gypsies was conceived Trinetra came forward to be a part of the project. Well! Janki was TKL’s junior in that BPO but she was the first person I ever shared my dream of having my own company someday, and she said whenever you start something don’t forget me. I would want to work with you. So when Eco Gypsies came to existence Janki actually fought with me that why TKL was a part of the team before her:). 6 years back this girl was 18 yr old fresher and now she has come a long way. And then there are few collaborators and friends who have agreed to become our referral partner to spread the word. Fullonwedding: started with the vision to bridge the gap between vendors and couples who are getting married. I made some announcements about my future site plans. I’m going to be adding some new stuff soon. You’ll definitely want to stay tuned for that. Hello there. I discovered your web site via Google while searching for a similar topic, your site got here up. It looks good. I’ve bookmarked it in my google bookmarks to come back then.